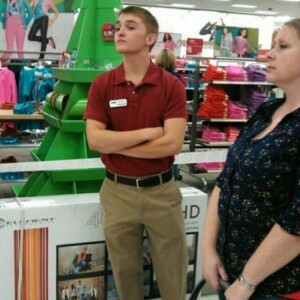 Posted November 27, 2012 For Black Friday he dressed up as a Target employee and bossed people around. Bossing people around at Target, no more lyme symptoms! Humor is 30% of the cure! This entry was posted in Lyme Symptoms. Bookmark the permalink.